To get 20% off your bill at Harvester, Toby Carvery, Vintage Inns and more, go to our new benefits page, just log in with the same details you use to check your policy online. If you're looking for the rest of your Member benefits, including more for silver and gold Members, you're in the right place. You can log in as normal or use our app. From treating the family to big screen entertainment for less, to keeping your car looking tip-top, your benefits are there to make every journey better. Enter your membership number and postcode to register, or log in and see all the benefits available for your level of membership. 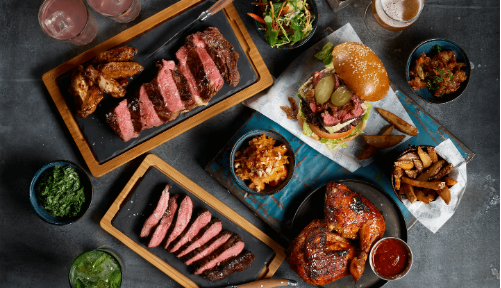 Head to our new benefits page for 20% off at Harvester, Toby Carvery, Vintage Inns, O'Neill's, Ember Inns, All Bar One, Browns, Nicholson's Pubs, Stonehouse Pizza & Carvery, Sizzling Pub & Carvery, Chicken Society and Son of Steak. If you're a breakdown Member in your first year of cover, you'll get a great selection of benefits. And when you stay with us, you'll get access to even more, including days of European breakdown cover on us.